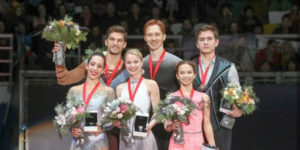 Second-to-last event of Grand Prix season 2018-2019 was in Moscow, Russia this past weekend. 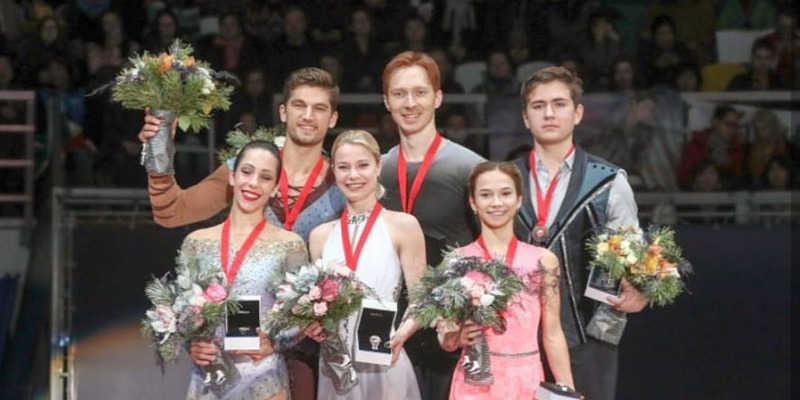 We can proudly say that our skaters are fighters and we are proud of them! 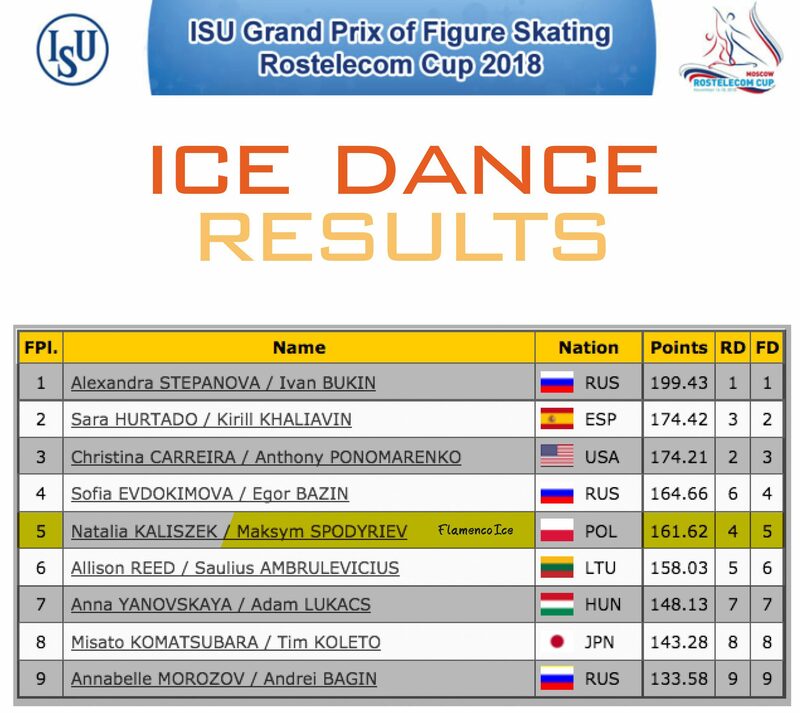 On the first day of competition, we saw the comeback of Gracie Gold. 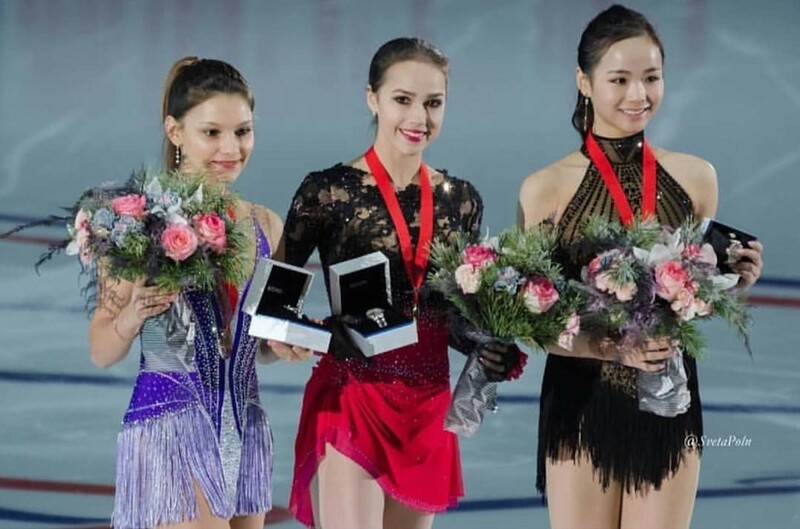 She has been brave to be at Rostelecom Cup, despite what people can say about her. 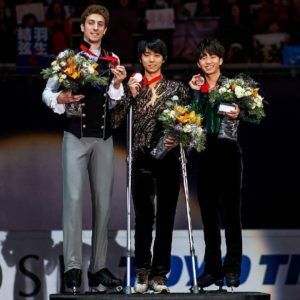 On the second day, the two-times Olympic Champion Yuzuru Hanyu got injured during free skating practice, but this couldn’t prevent him from skating the free program and winning the event. 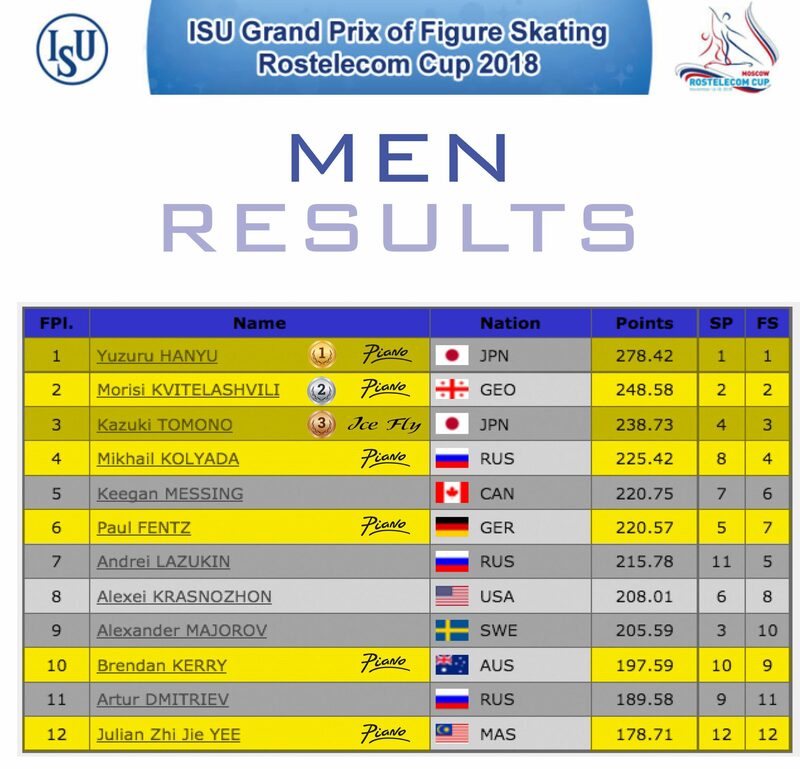 He is officially qualified to the Grand Prix Final but first of all, he has to recover! 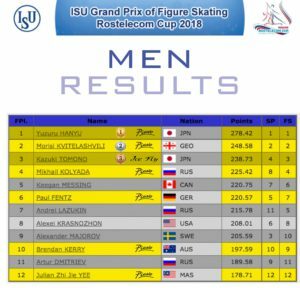 On second place of Men podium, Moris Kvitelashviili is the first Georgian skater ever to win a medal at Grand Prix! 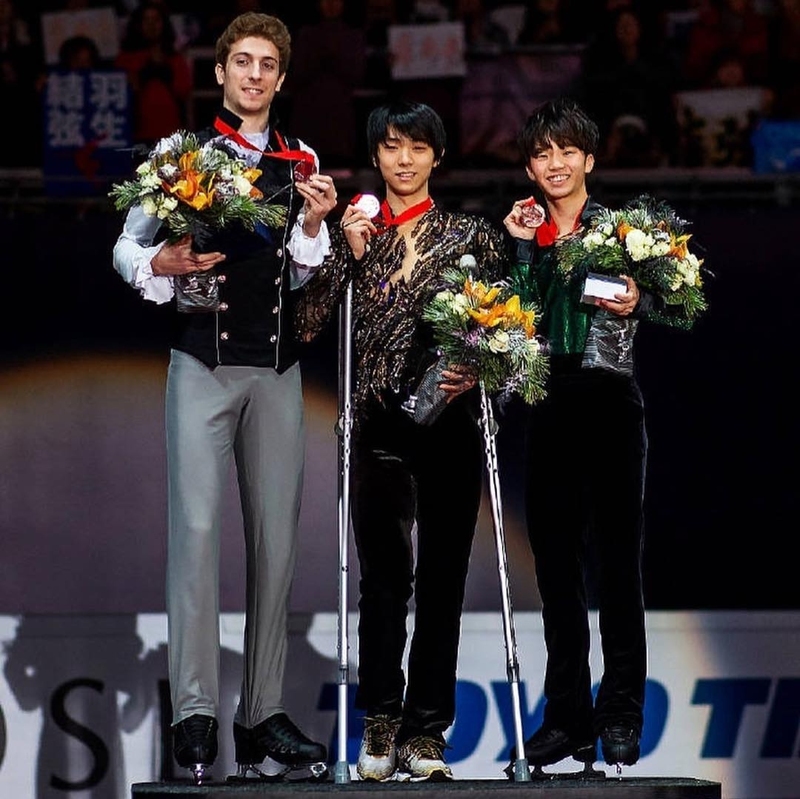 Third place captured by Kazuki Tomono, from Japan. 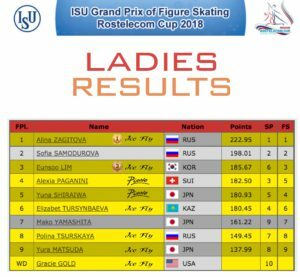 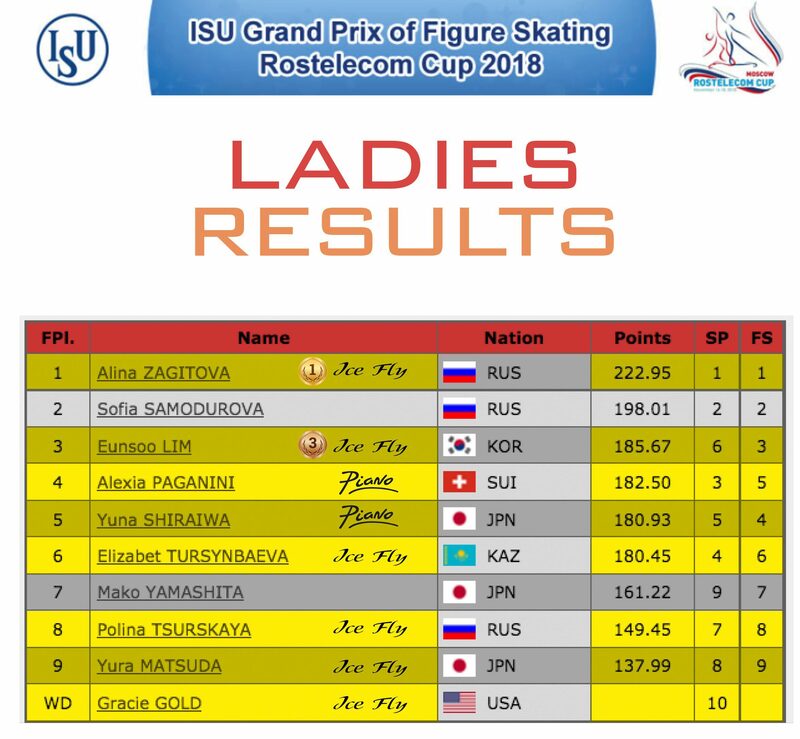 The ladies event was lead by the Olympic Champion Alina Zagitova, while Eunsoo Lim placed third after the sixth place in the short program. 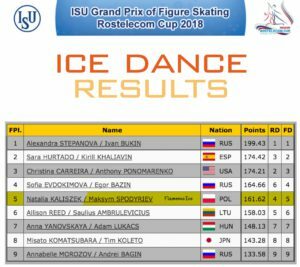 Alexia Paganini placed third after the shor program and fourth overall. 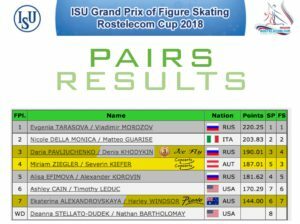 In Pairs, at their first season in Senior, Daria Pavlyuchenko and Denis Khodykin confirmed the third place they got also at GP Helsinki. 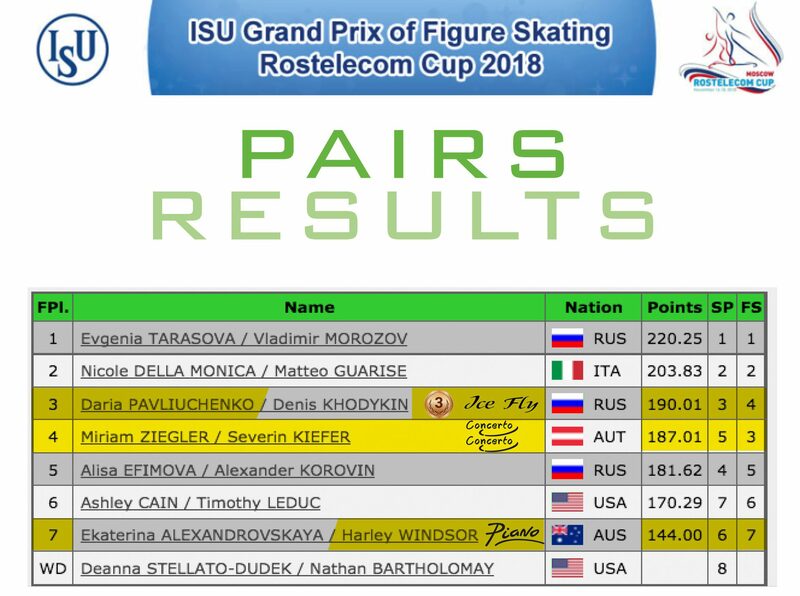 Here below the full results.